Legislators are finally considering how to change the state’s tax code. After many task force meetings and consultation between the governor and legislators, a final tax reform package has finally been unveiled. You probably want to know what this could mean for you. I’m not a tax expert, so I won’t be telling you. 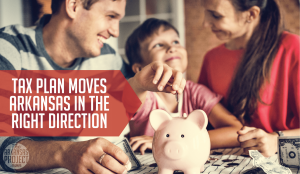 But I can point you to a source that will help you shed some light on what the proposed changes mean for Arkansas taxpayers: the Tax Foundation. 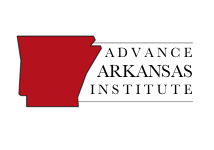 In an informative blog post, Nicole Kaeding of the Tax Foundation and Jeremy Horpedahl of the Arkansas Center for Research in Economics explain how taxpayers in various situations would fare under the proposal before legislators now. I urge anyone who wants firm, factual details about how he or she could be affected by this tax legislation to read that post. …these cuts are the third phase of the individual income tax cuts in Arkansas. Looking only at the 2019 proposal misses much of the work done by the General Assembly in previous sessions. First, in 2015, it passed tax cuts for individuals with incomes between $21,000 and $75,000. Second, in 2017, it passed tax cuts for individuals with incomes below $21,000. (Single individuals with income below $11,969 have no income tax liability due to Arkansas’s low-income tax credit first adopted in 1991 and expanded in 2007.) So, this final plan brings those with incomes above $75,000 closer to the cuts already passed in 2015 and 2017. …the reduction of the top rate from 6.9 percent to 5.9 percent makes Arkansas more competitive among its neighbors and in the South generally. Currently, the 6.9 percent rate is the highest among Arkansas’s neighboring states, and the second highest in the South (just below South Carolina’s 7.0 percent). This reduction brings Arkansas roughly in line with neighboring Missouri (5.9 percent) and Louisiana (6.0 percent), as well as Georgia and Kentucky (both at 6.0 percent). Neighboring Oklahoma and Mississippi are still slightly lower at 5.0 percent, and Texas and Tennessee have no income tax on wages and salaries, so there is still work to be done in the future. Ideally, future legislatures will work to further simplify the rate schedules, but this is a big step in the right direction. 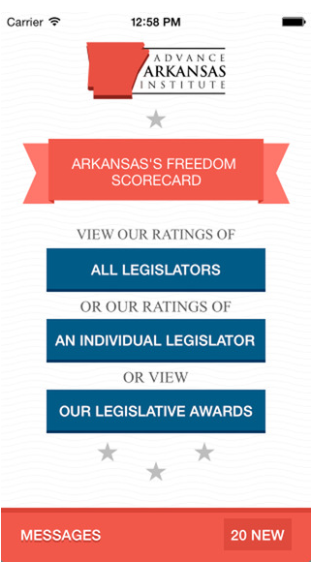 This looks like good news for Arkansas taxpayers as well as Arkansas as a whole. Will legislators adopt this proposal as is? Will they tinker with it? Legislators have a prime opportunity to enact positive tax reform. It will be interesting to see what is finally presented to Gov. Asa Hutchinson for his signature.